The word Pathology is derived from the Greek word Pathos and Logia. Meaning of Pathos is “experience or suffering” and Logia means “Study of”. In general, we can say that pathology is the “study of disease”. “It is the branch of science concerned with testing the samples of body tissue in order to diagnose the problem and diseases”. Medical pathology is categorized as clinical pathology and anatomic pathology. Clinical pathology is the study of disciplines of microbiology, immunology, clinical chemistry and Haematology. Anatomic pathology comprises the study of cellular and tissue. A pathologist is a physician who examines the tissues and checks the accuracy of lab tests. Pathologist plays a very important role in the health care of a patient. In a pathology, various laboratory tests are conducted on the samples of a patient that facilitate the patient’s diagnosis and treatment. If you want to become a pathologist and looking for the courses then you are at right place. Below, we have listed some most sought pathology courses. Pathologists do indulge in trying to find out what diseases are affecting living patients. They do testing and the amount of quality control involved in a diagnosis. They use laboratory tests to monitor the health of patients with chronic conditions. Some colleges offer admission on the basis of marks in the qualifying examination or some of them provides admission through the entrance test. Admission in MBBS course will be done through NEET 2019. Many universities/institutions regulates their own entrance test for providing admission. Some of the postgraduate level medical entrance test are JIPMER PG 2019, AIIMS PG 2019, etc. Various government and private hospitals offers job to pathologists. Reputed hospitals like All India Institute of Medical Sciences (AIIMS) avails position for pathologists. Vacancies are also available in National Institute of Health, Armed Forces Institute of Pathology, and Food and Drug Administration. For more information about Career in Pathology, you may ask us by commenting below. i’m not from science background but I have interested for pathology, can i apply for this course. Sir I have done MSC in chemistry now which course of pathology would be good for me????? Sir maine msc.microbiology me kiya hai mai pathologist ban na chahti hu..Plzz suggest me mai kaun sa course karu.mujhe lucknow se karna hai to college nd institute bhi suggest kar dijiye. 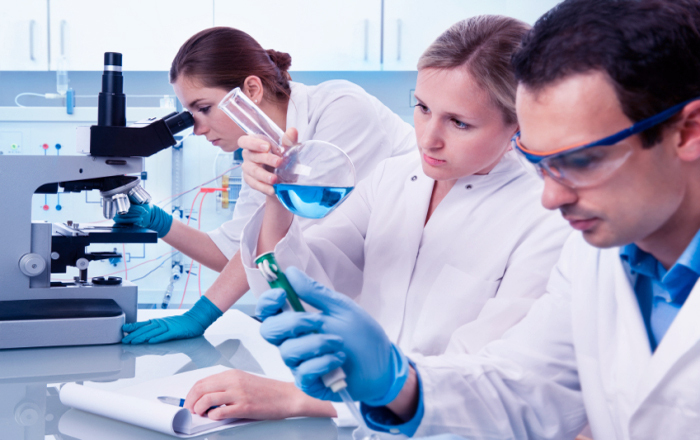 you can pursue course in Medical lab technician. I completed DMLT course, then what next for me? My dream is to do pathologist so what is the process to b..! Can I find a University in China offering Bachelor Of Audiology Speech And Language? Hlw i completed my planebachelor’s degree in chem,botany and zoology . After getting diploma in pathology may I get chance to obtain MD in pathology?? i m doing diploma in pharmacy after this i want to study in pathology. what process involed for addmission in this course please help me..
I’m doing S.Y.BSc can i get admission in pathology or i have to complete my TYBSc in zoology????? Reply what is the age limit for pathology course please reply. No age limit, but you must have science in 12th. sir i have done BS pathology 4 year ….. can i apply for MD ? sir/madam..i have complted my diploma in medical lab technician after +2 in medical filed…i got 63% in medical lab. Technician..
What is the age limit for pathology course? What is the age limit for pathology course? But i am Arts student. As a art student, you cannot get Pathology. So do I eligible for this? If yes which books should I prefer for preparation?? I pass 10+2 in pcb but my total marks in pcb is 136 and I am interested in pathology what should I do? ?plzz suggest me. sir/mam.i have completed my bipc with 95% in 2016.sir iam interested in pathology.how to join in pathology and what are the colleges offering bsc pathology.sir plz suggest me. I’m in HSC science PCB,i have a finance problem,so please suggest me what course I should do which didn’t effect my budget. I m hsc passed with 62% and intrested in pathology .so plzz suggest some diploma courses & there fee structure. I have done my 12th in pure science (PCB).Am I eligible for taking admission in diploma in clinical pathology?My PCB percentage is-57%. so pls our help me. for medical you should have Biology in 12th.